The World Economic Forum estimates that 65 percent of children entering primary school today will ultimately end up working in completely new job types that don’t yet exist. Since most of the jobs have not been created, the opportunities and challenges will largely depend on a persons ability to recognize these changes. Technological progress is accelerating greater than ever. New industries are constantly being born and old ones are becoming obsolete. This trend will create millions of jobs that don’t even exists today, change traditional business models and force people to learn very different skills that are needed today. Today 4 of 5 biggest companies in the United States are platforms. Platform business models have rapidly transformed the world and with recent breakthroughs in artificial intelligence, blockchain, and robotics they will soon forever change the nature of work. These technologies can unleash new productive capabilities by removing gatekeepers and intermediaries but have one important limitation​ that will have a major implication on the future of jobs and meaningful startup innovations. 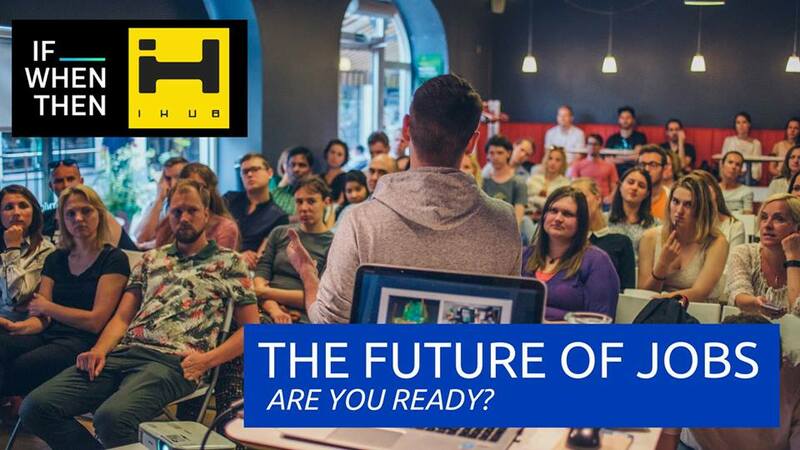 ​In this free presentation you’ll find out how to prepare for the new future economy, why platform business models will create new productive capabilities and how to practically to think about future of jobs​. – What are practical ways to think about the future of jobs? – How will the basic principles of platform design thinking create new sources of supply? – What are the opportunities and limitations of with machine learning, blockchain and the automation of decision making. – How to find platform business model opportunities? Adam Dorfman is Canadian but currently based in Ukraine. He is an expert on platform thinking and offers a sophisticated and fresh vision for the future of job in the region. He is touring Central and Eastern Europe to share his knowledge on how the basic principles of platform business models along with recent technological advancements have changed the nature of work. He is also the founder of an early stage startup called, If When Then. At If When Then he is advised by one of the top platform designers in the world to launch a new search engine mechanism for global online courses and local workshops in the Central and Eastern European region. Past Lectures: The Future of Jobs: How platform Business Models and Technology are Changing the Nature of Work.